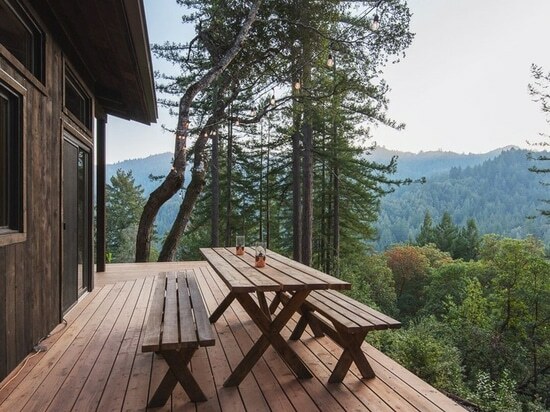 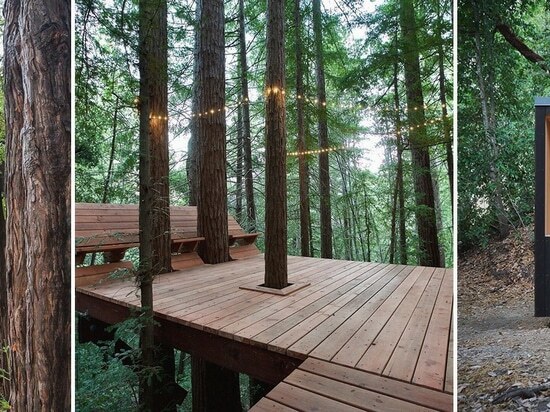 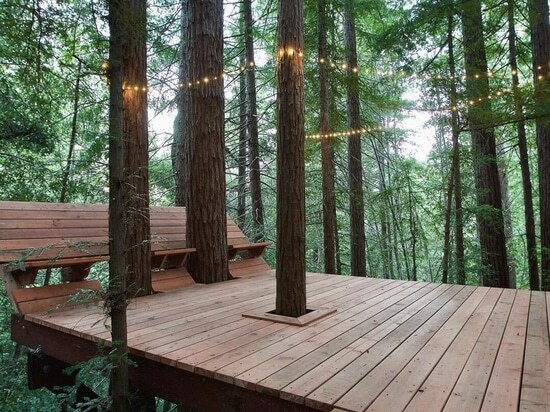 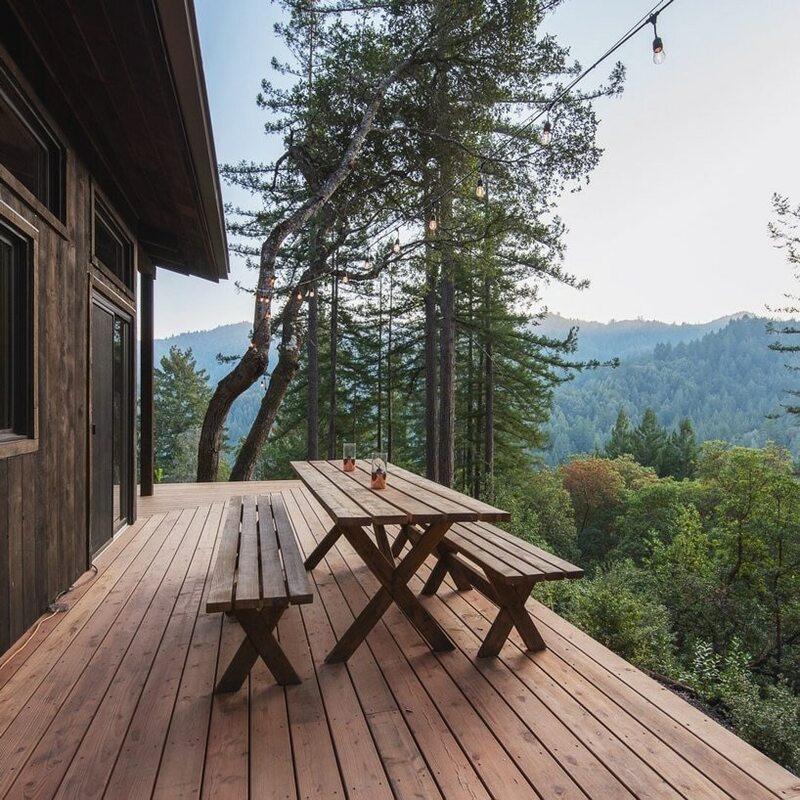 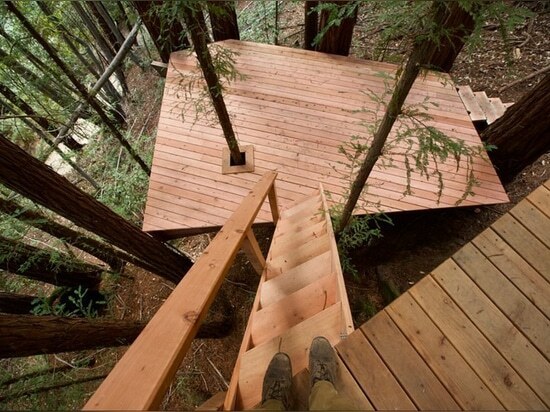 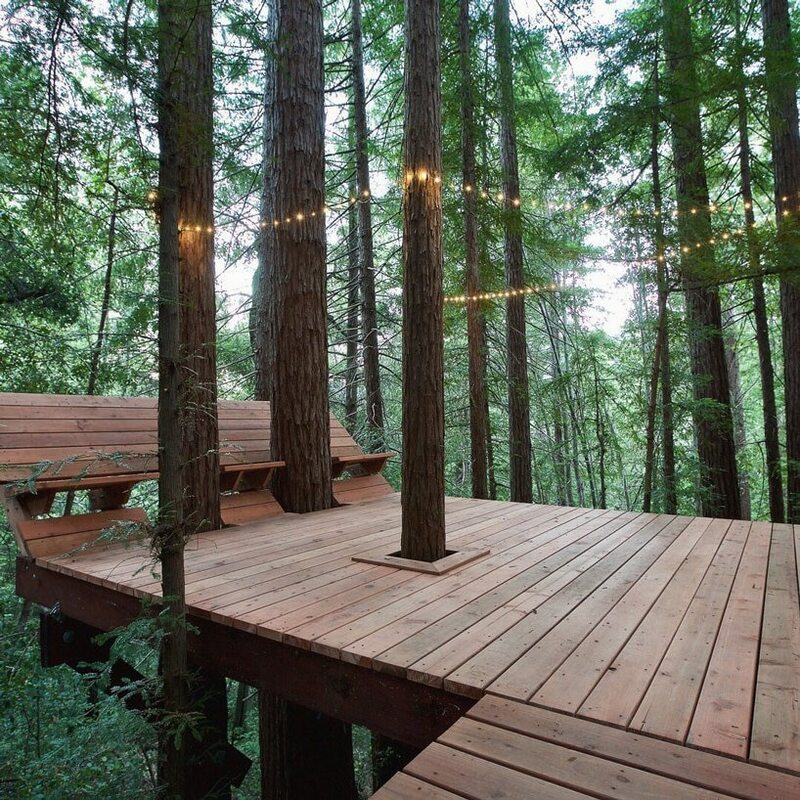 in the wooded mountain region of santa cruz, jeff waldman, his partner molly and their friends worked together to construct a cabin and network of tree decks integrated into the native california redwoods. 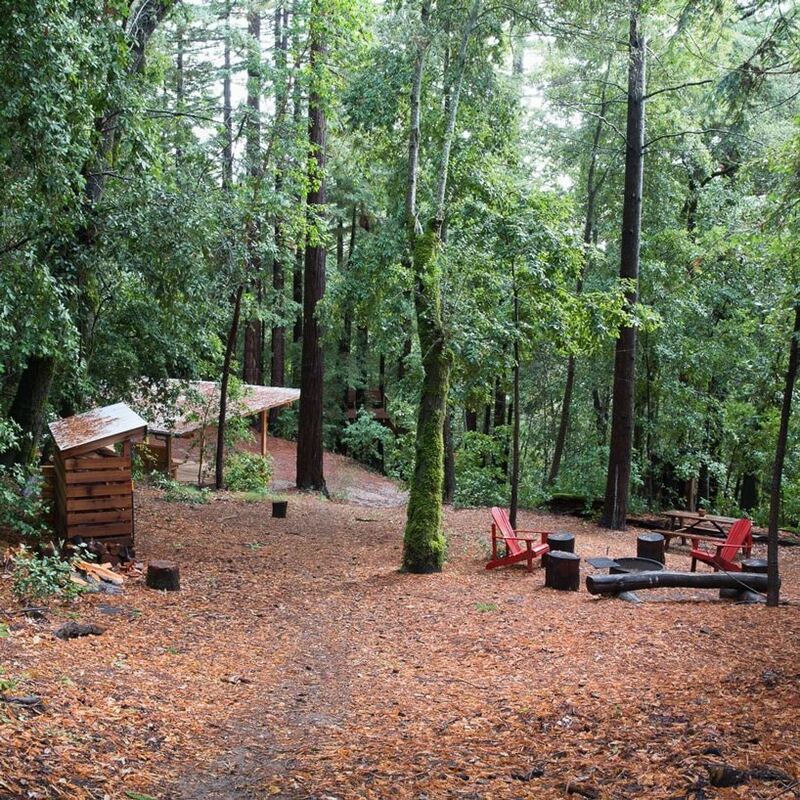 over the past two years, the group had cleared and carved out land, with respect for the largest trees which were maintained and surrounded by the timber structure. 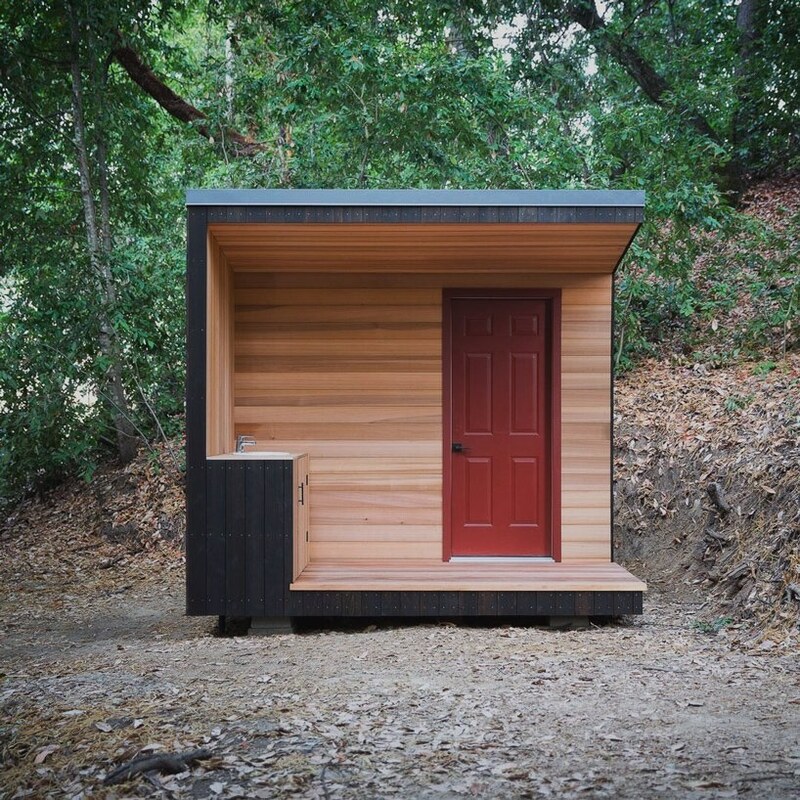 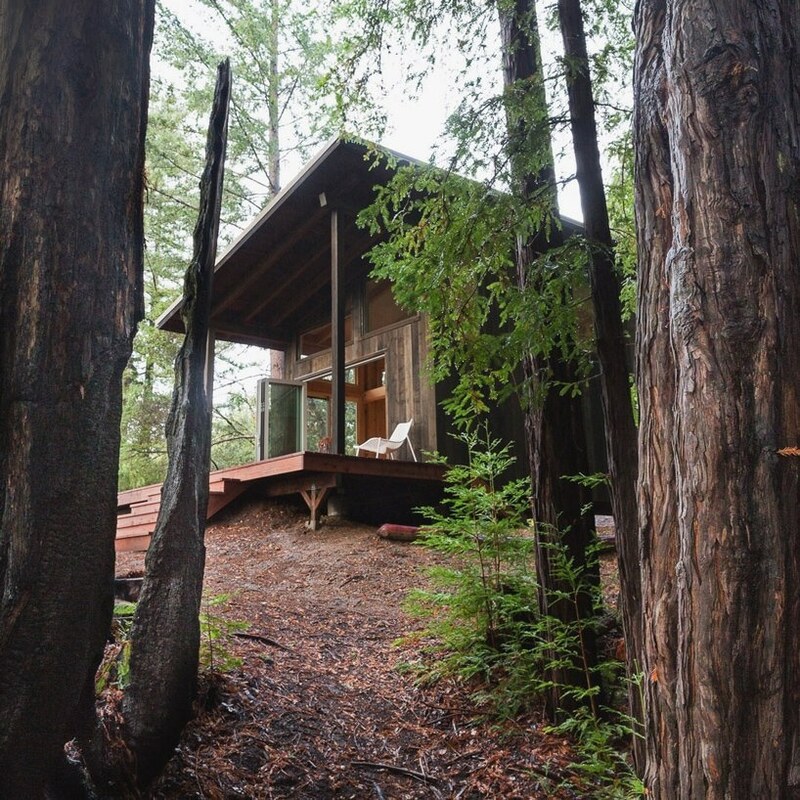 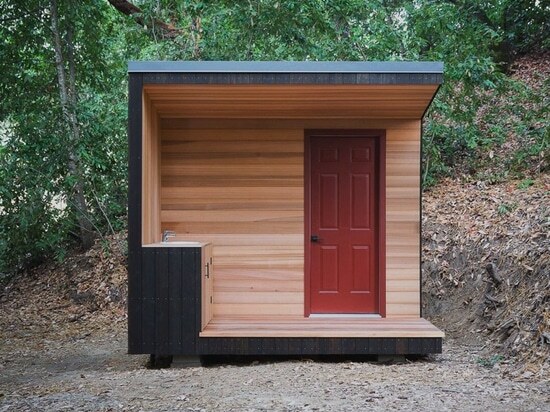 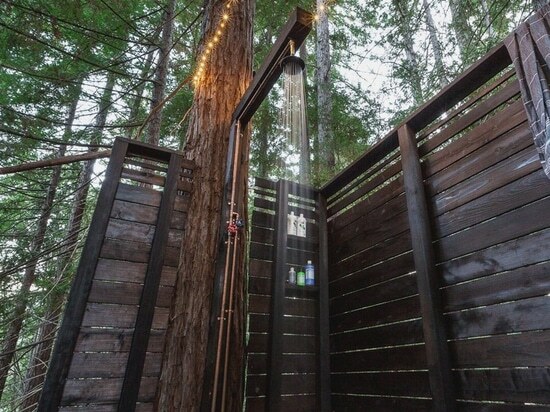 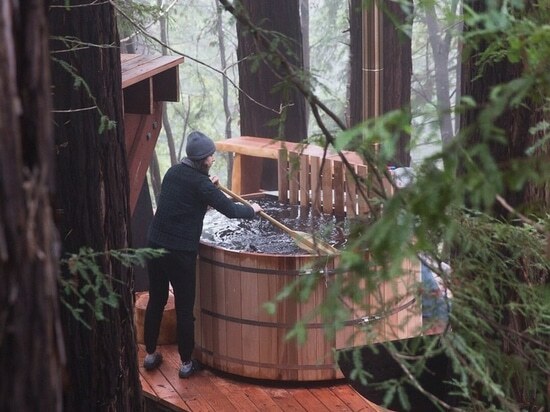 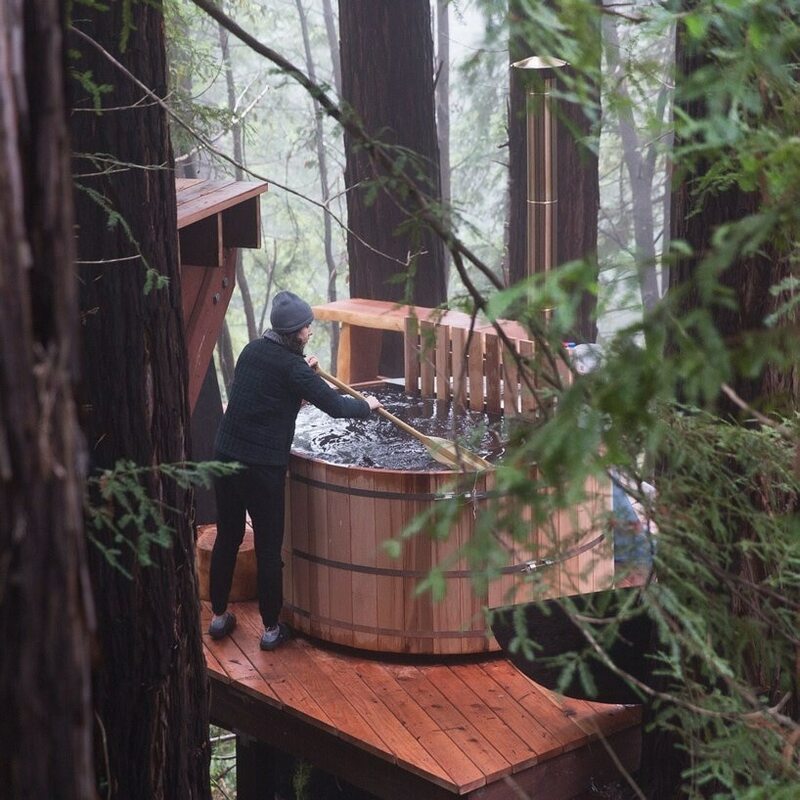 together with the cabin and decks, the overall project further comprises a ‘cube’ outhouse, a wood fired hot tub, a pavilion, and a heated open-air shower suspended between two redwoods. 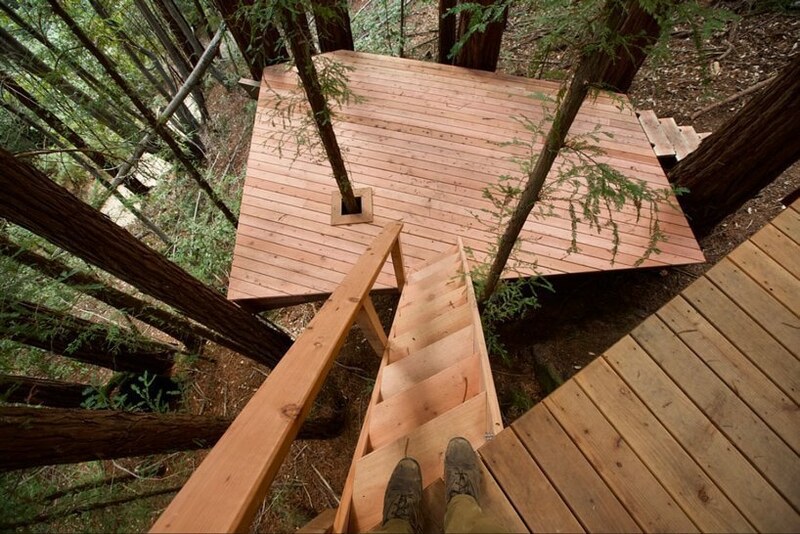 those who took part in the build process had no previous design or construction experience. 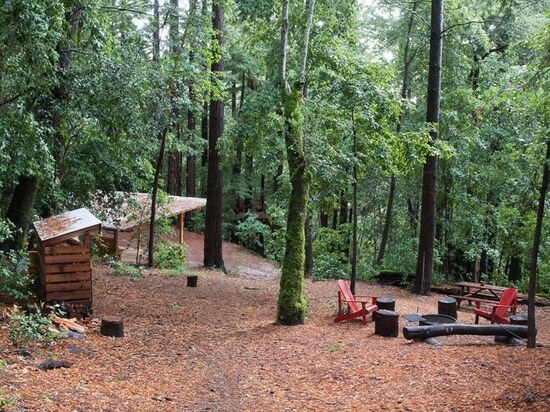 waldman, molly and friends began clearing and prepping the southern facing site nearly two years ago, broke ground this past spring, and raised the walls in august. 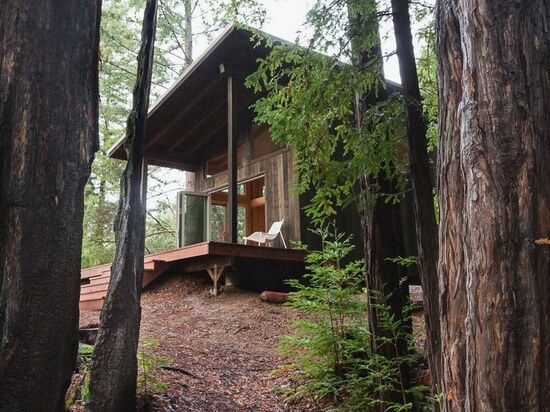 nearly one year was spent salvaging the large door and most of the windows, around which the cabin was designed. 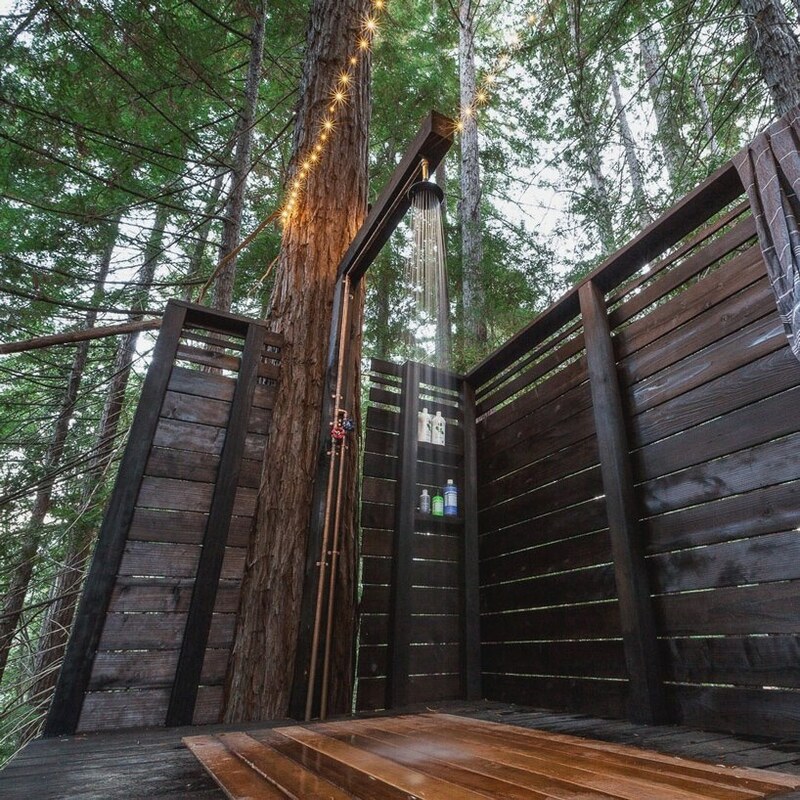 the rest of the design was informed mostly by the capabilities of the team, having never designed or built anything of this magnitude before, and by the constraints and logistics of the site and property.